With less than five weeks to go before the Singapore Yacht Show (SYS) welcomes some of the world’s most prestigious vessels to the ONE°15 Marina Club in Sentosa Cove, excitement and anticipation are building. Taking place between 7 - 10 April, this marks the sixth edition of South East Asia’s premier annual yachting and boating event. Positioned as the region’s business hub for luxury yachting, Singapore will host thousands of yacht enthusiasts and potential buyers to view over 100 boats, yachts and superyachts. Singapore continues to reinforce its position as the ‘Monaco of the East’ and the calibre of brands and dealers exhibiting at this year’s Show reflects this. Exhibitors include local players Azimut Singapore, Hong Seh, Multihull Solutions, Northrop & Johnson Asia, SG Boating, Simpson Marine and Supratechnic, as well as international leaders Grand Banks, Fraser Yachts, Gulf Craft, Princess Yachts, Sunseeker and Sunreef. Superyacht toys and accessories never fail to excite and delight serious buyers and gadget enthusiasts alike. This year will see new exhibits and returning favourites on display from Funair, Seabob, Quadrofoil, and U-Boat Worx, as well as SYS’ first-ever on-water demonstration platform. The Show also welcomes back new and returning superyacht builders, including Amels, Baglietto, Benetti, Feadship, Fincantieri, Heesen, Lürssen, SilverYachts and Westport. International yacht brokerage company Fraser Yachts will return to the Singapore Yacht Show once again, this year with a line-up of three motoryachts Azul A (34m), Triple 8 (43m) and Sensation (50m). The lively and glamourous social programme includes the highly anticipated Gala Dinner, a series of supercar parades, fashion shows and live cooking demonstrations by MasterChef Asia Judge Audra Morrice. Multihulls have long been popular in South East Asia, and have been particularly well received at the Singapore Yacht Show. Not only do they offer fantastic interior and exterior space, but they also provide great stability while underway and at anchor. This year, visitors to the Show will be treated to new offerings by such prestigious brands as Sunreef, Fountaine Pajot (presented by Multihull Solutions), Lagoon (presented by Simpson Marine), Aquila (presented by MarineMax) and Seawind (presented by Corsair Marine. 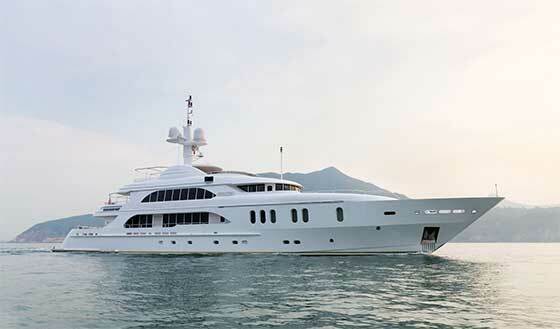 For the first time, Sunreef will showcase a World Premiere at the Singapore Yacht Show. The Sunreef Supreme is an audacious line of yachts and superyachts designed to become the world’s most comfortable and spacious range of lifestyle-oriented boats. The first unit from the range, the Supreme 68 will be the second-ever world premiere unveiled at SYS. A 68ft (21m) sailing catamaran with a total living space of over 280sqm, she offers the luxurious surface areas of a much larger superyacht, packaged within a unit below 24m. 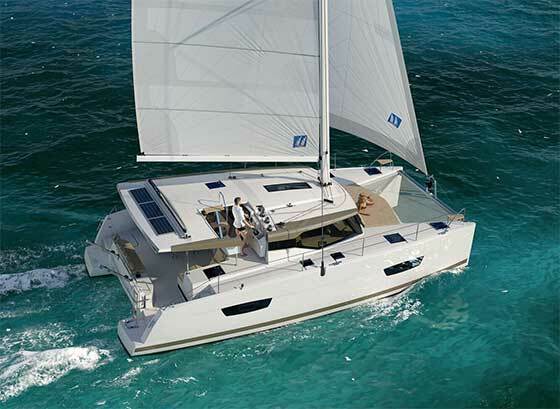 Multihull Solutions will return to SYS with an unprecedented number of launches, showcasing three new Fountaine Pajot models: the Victoria 67, the Saba 50 and the Lucia 40. While the Victoria 67 and the Saba 50 have already made appearances in the region, they will be officially launched at SYS 2016. 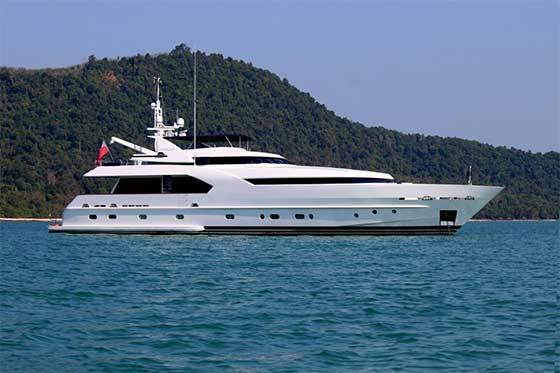 Similarly, this year’s yacht show will be the first time the Lucia 40 has been presented in Asia Pacific. From its quality craftsmanship, design and engineering pedigree, to the refined elegance and luxury interior styling of its craft, Plymouth-based Princess Yachts epitomises the best of British manufacturing. At the Show, Princess Yachts will showcase Project 31@50, the return of the first ever model to be built by the brand which has undergone a unique restoration in celebration of the company’s 50th anniversary. A stunning limited edition capsule collection of merchandise will be showcased alongside this vintage classic. Renowned Spanish illustrator Jaume Vilardell was commissioned to produce two images encapsulating the 1960's holiday-chic vibe to incorporate into the designs. A glamorous couple lounge by the pool, with their Project 31 yacht moored in the distance - the first model produced by Princess 50 years ago. Produced with rich colours reflecting the bold illustrative style of the mid-60's, this collection is a real departure from traditional staid merchandise. The Princess 75 motoryacht will be making her regional debut. The ingenious design of this eagerly anticipated yacht offers efficient, agile cruising, with the latest modified deep V-hull enabling passengers to plane at lower speeds. With a choice of three engines, she can reach speeds of up to 35 knots. 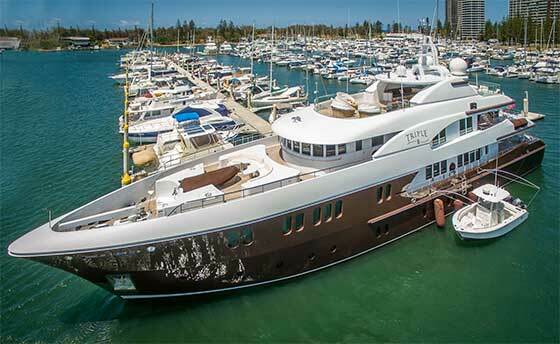 Fraser Yachts will be showcasing an extraordinary line up of superyachts at this year’s Show. The 50m motoryacht Sensation, boasting five well-appointed staterooms with ample accommodation for up to 12 guests, will be gracing Singapore shores for the first time. The impressive 43m superyacht Triple 8, built by Royal Denship in 2009, is currently cruising South East Asia and currently making her way over to Singapore for the Show from Australia. Also joining the Fraser fleet is recently refitted motoryacht Azul A. Comfortably accommodating up to eight guests in four cabins and with a crew of six to cater to guests’ every possible need, she is the ideal cruising yacht. Her 2.3m draft enables her to reach those beautiful shallow spots inaccessible for some yachts of this size, and her modern stabilisation system allows guests to cruise in ultimate comfort. For an onshore superyacht experience, visitors should check out the Feadship stand. The highly renowned Dutch yacht builder enjoys making a splash at the major boat shows with innovations that go above and beyond, and this year is no different as they introduce an in- stand “4-Senses” movie theatre. This completely insulated and soundproofed space includes the world’s largest curved LED television, giving an impressive 105 inches of screen on which to show a Feadship movie. The audience is given a true treat for the senses - in addition to the spectacular visuals and surround-sound, different scents are emitted that accompany what is happening on the screen - as well as the occasional gust of sea-breeze! To make up for the 5th sense that is missing from the Feadship stand, above, this year’s SYS is going to be tastier than ever before. On Friday 8 April, MasterChef Asia Judge Audra Morrice will lead a private master class for a group of lucky guests on board one of the luxury yachts on display at the Show. Then, on Sunday 10 April, Audra will host a public cookery demonstration dockside at ONE°15 Marina Club, sharing her wisdom on how to prepare delicious seafood dishes that showcase the best of her signature style combining Asian and Western flavours. Be sure to stop by the demonstration, you may even win a signed copy of Audra’s new cookbook! The highly anticipated Gala Dinner will take place on Saturday 9 April at the W Singapore – Sentosa Cove, and key members of the yachting industry and Singapore society will gather for this year’s Red and Black Ball. Over 400 guests can indulge in fine cuisine and stellar entertainment. The fun doesn’t end there – the Show weekend will also include sensational parades of supercars and fashion shows. Download the Singapore Yacht Show App and check out the social calendar! Toys are often the jewel in the crown of any superyacht, and SYS 2016 will present an impressive array of the latest yacht accessories and equipment. Long-standing exhibitor Supratechnic will be back with a bigger presence than ever before, boasting an even greater array of Jet Skis, amphibious vehicles and outboard engines. To further highlight these attractions is a brand new addition to SYS 2016; an on-water Demonstration Platform where a range of the latest water toys will be showcased. 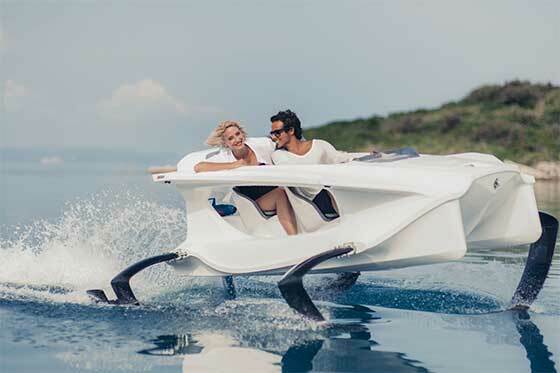 Quadrofoil, an eco-friendly Jet Ski raised on four hydrofoils that slice through the water, will be making its Asian debut. 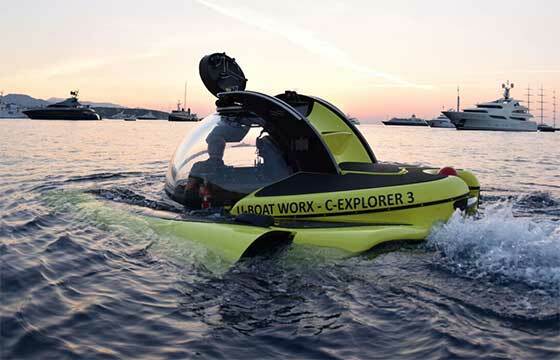 U-Boat Worx, a name synonymous with safety and adventure, will be returning with its C-Explorer 3 personal submarine. This three-person underwater vehicle can carry passengers to a depth of 1,000m in a spacious fully air-conditioned interior, providing an unobstructed 360-degree view under the sea in unparalleled comfort and manoeuvrability.